True Wild Life | Chinchilla | Chinchillas are medium sized rodents native to the Andes mountains in South America. Chinchillas are named after the tribe that hunted the chinchillas for their dense fur, the Chinchas. A chinchilla is therefore a fairly rare animal in its natural habitat today. Chinchillas feed on nuts, seeds and berries. They can defend themselves by spraying urine and releasing their fur when they are under attack. In more recent years people are beginning to keep chinchillas as pets. 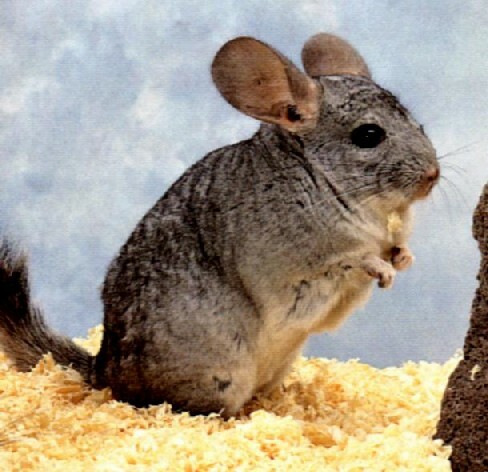 Chinchilla domestication occurred in the 1920s when an engineer in Chile took a group of chinchillas to California. Since then chinchillas are bred as pets and sold all around the world. 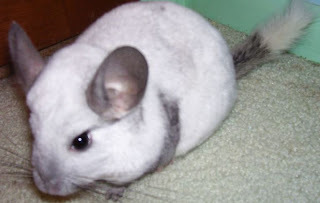 When handling chinchillas, it is important to not pick them up from underneath like a rat or hamster, because they have a feature called "floating ribs". Their ribs are not fully attached to their spine and if pressure is applied upwards, the ribs could puncture vital organs and kill the chinchilla. Pet chinchillas require frequent attention as well as a supply of dust for "dust baths". That is so cool I have been wanting one of these for a long time but now I am not sure! LOL gtg BYEE! Feeding them nuts and sees is not recommended, as they are high in fat content and can cause bloat/liver issues. Fruits are also too high and sugar and can lead to many other issues themselves. It's best to stick to their pelleted diet and timothy hay, and have the occasional snack be an oatmeal square (unfrosted) or rolled oats (not instant or flavored). I have never been so close with Chinchilla.But recently saw couple of Chinchilla in my friend's house and they are so cute. Hi I am doing a project on Chincilla's for my Grade 5 exhibition. 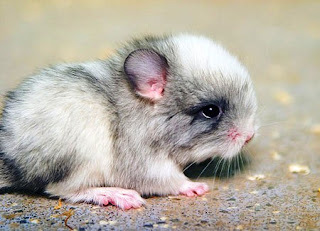 May I use your photo of the baby chincilla with credit for my display board. Thanks Rachel. please post a reply.